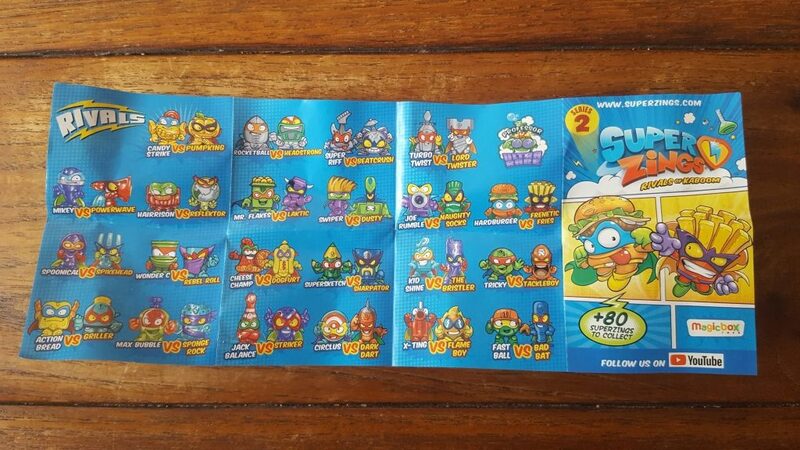 Superzings Series 2 Rivals of Kaboom: What are they? 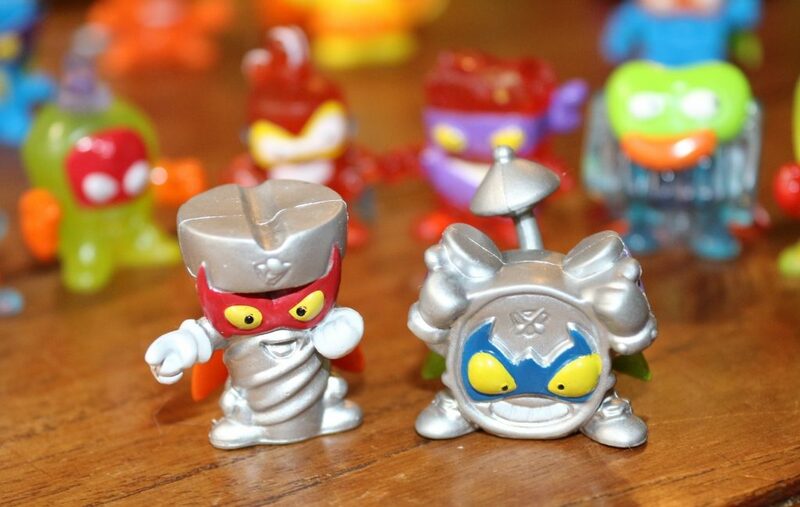 SuperZings: Rivals of Kaboom mini collectible superheroes and villains are BACK for series 2! If you’re thinking ‘what are SuperZings?’ then make sure you check out our review of SuperZings series 1 which can be found here. 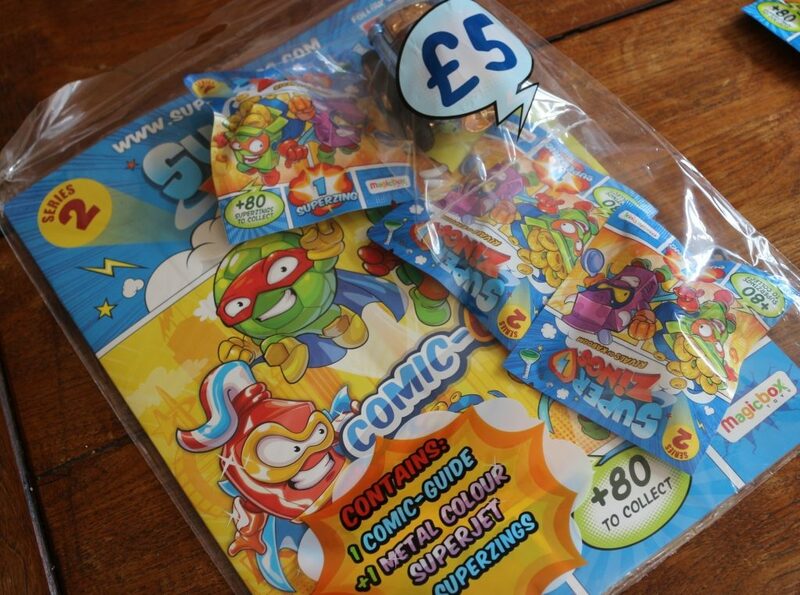 You will be able to see our SuperZings Series 2 blind bag opening on YouTube imminently. What are SuperZings Series 2? 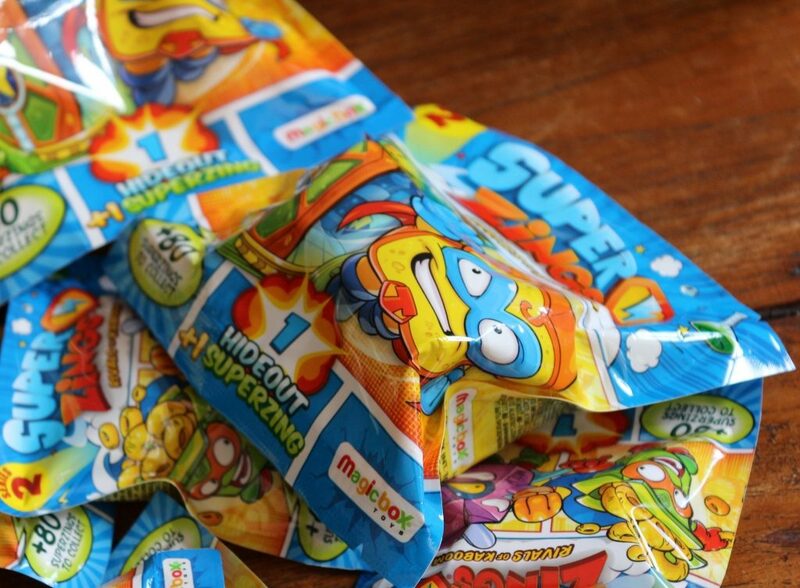 SuperZings are mini superheroes and villains who live in the city of Kaboom. They have rival gangs, each of which has a leader and a vehicle or hideout. 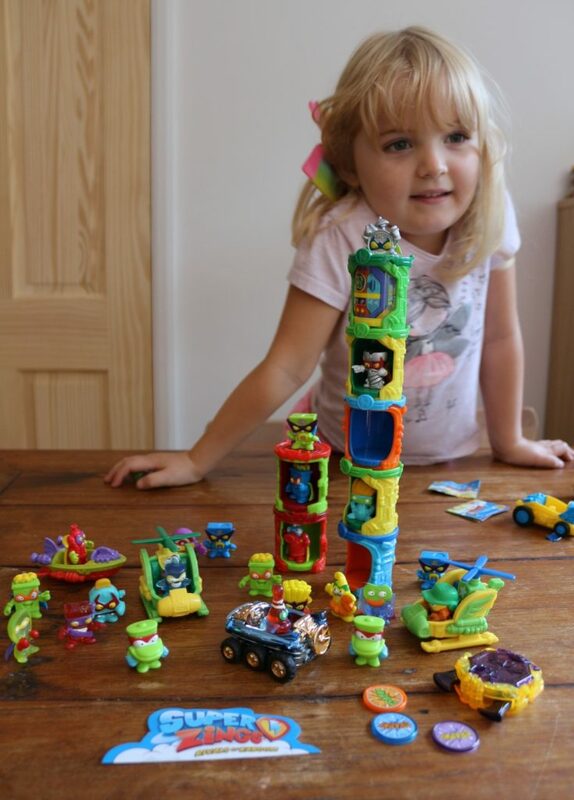 The children love collectibles and we may have gone ever so slightly over the top collecting series one figures which are brilliantly pocket-money friendly starting at just 80p. 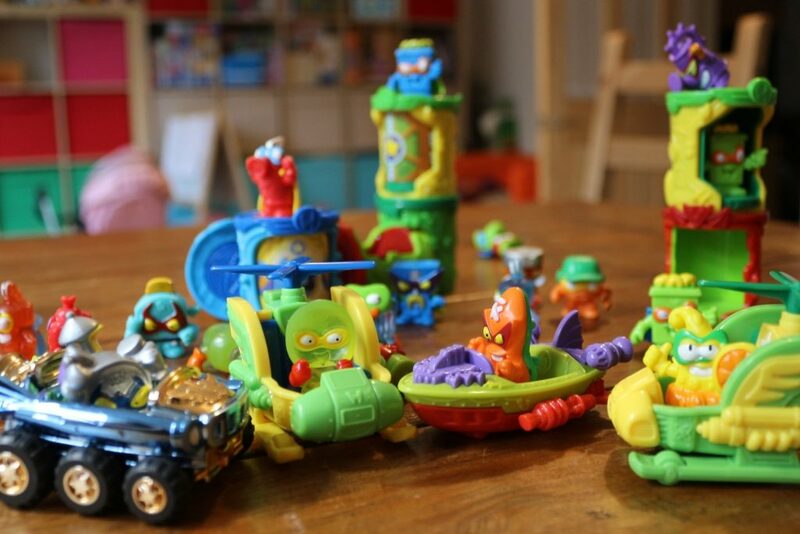 The colourful, cartoon-character superheroes really appeal to them and they still play with their SuperZings from series 1 creating little towns with the superheroes and villains. 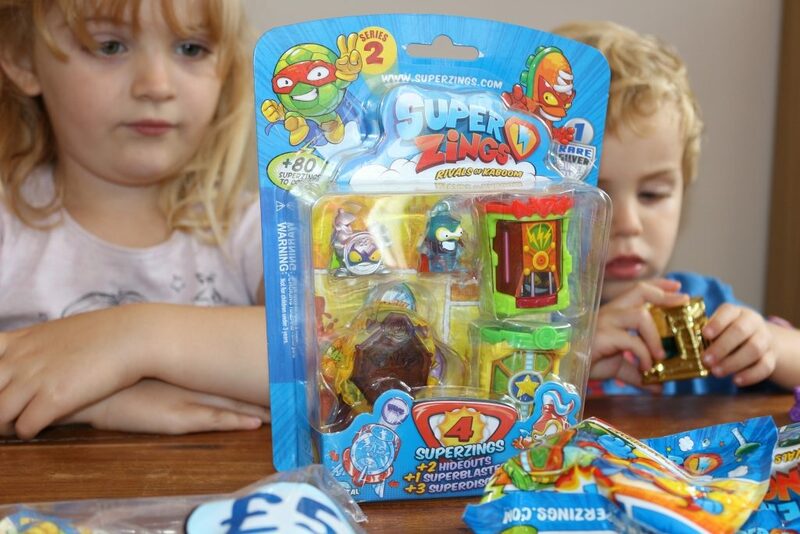 When the opportunity to review some series two SuperZings came about, they were really excited. And a blister pack (RRP £7) containing two Hideouts, a Superblaster and 4 SuperZings (two blind packaged, and one rare silver captain). How are Superzings Series 2 different to SuperZings series 1? 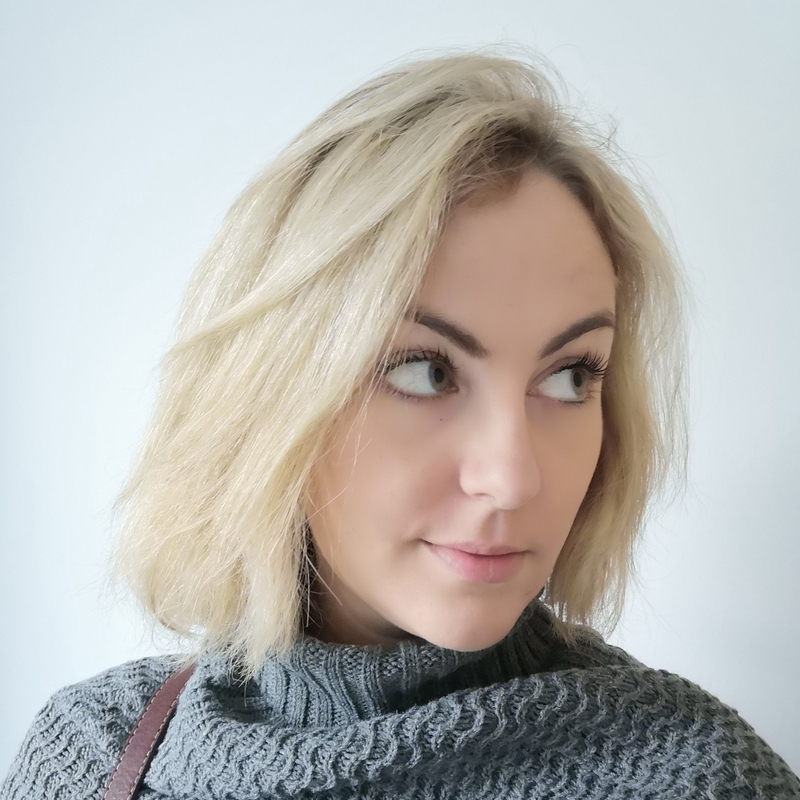 Once again there are six gangs, each with six members and one rare silver captain. 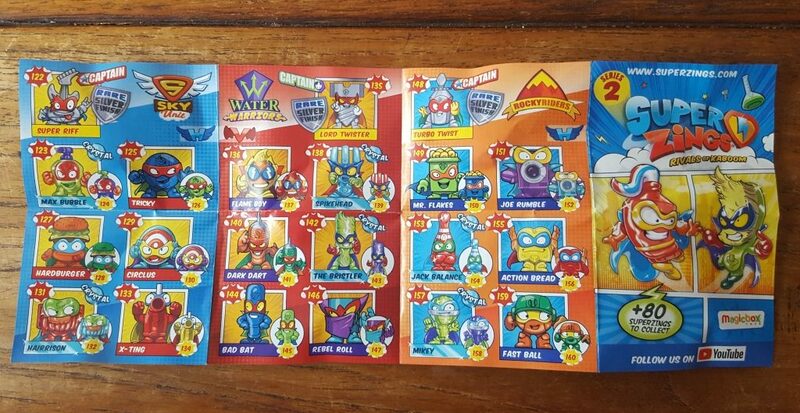 We got two of these in our bundle; Lord Twister who is the Captain of the Water Warriors and Beatcrush who heads up the Crazy Rebels gang of villains. As with series 1, each SuperZing gang member comes in two colour variations. 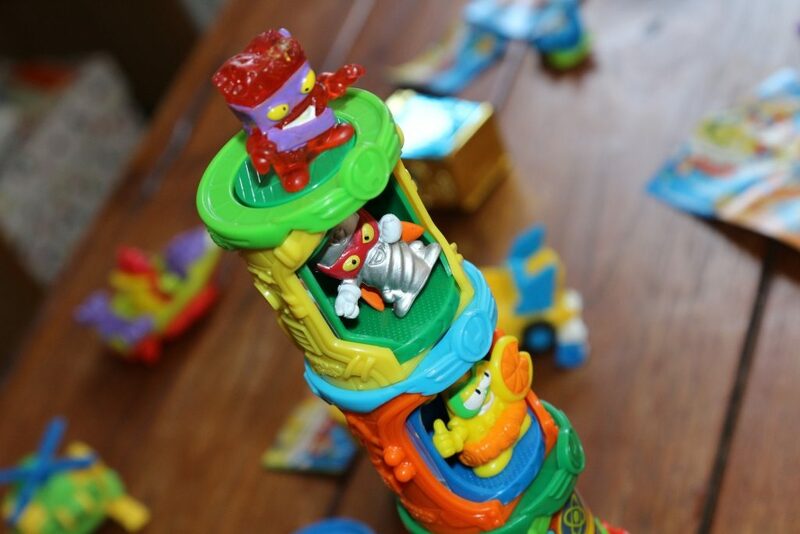 There are two Super Leaders, Candy Strike and Pumpking; they are gold and are super rare. There is also one Ultra Rare character, Professor K, who much like Enigma from Series 1 is a mystery! The characters themselves are fairly similar; you wouldn’t automatically be able to distinguish between the characters of the two series. Some are food, others household items. 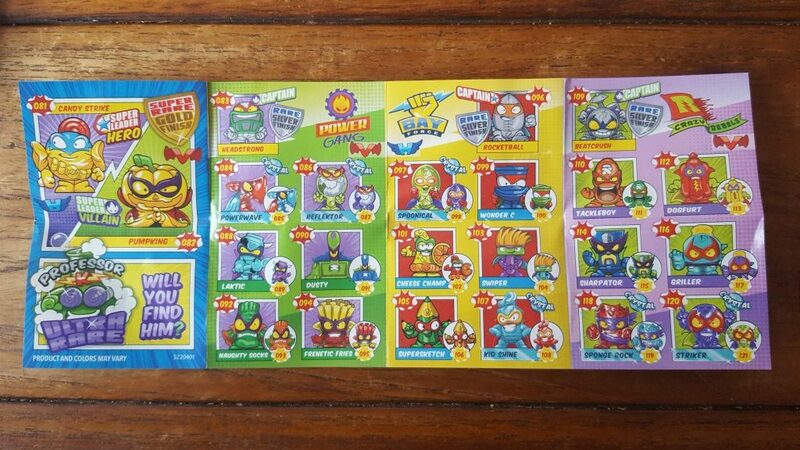 The main difference in appearance between Series 1 and Series 2 Superzings characters is that Series 2 has some characters (two in each gang) which are ‘Super Crystals’ and see-through in appearance. The accessories, new Superzings Hideouts and vehicles, are different to series 1. The hideouts, rather than having sliding doors and a lid which can catapult enemies has a rotating door which opens and closes. You can stack the hideouts easily too. 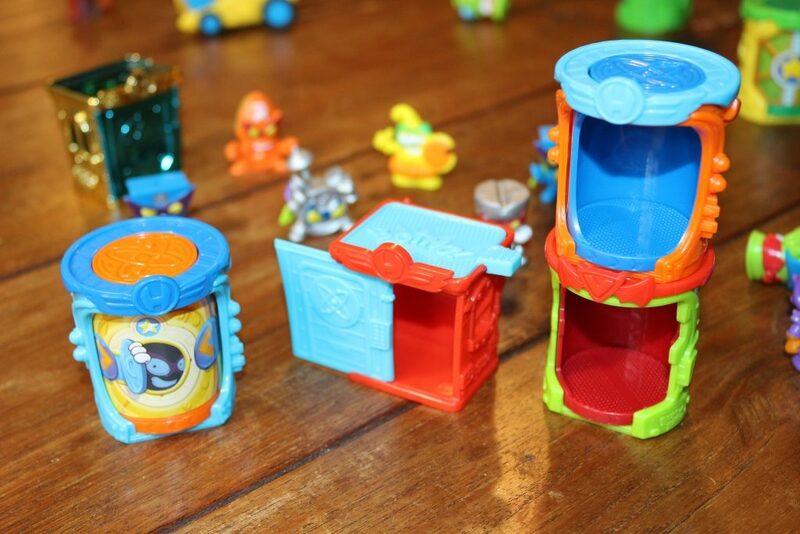 Both the kids and I prefer them to the series one Hideouts which come apart really easily. There are eight variations to collect plus an ultra rare gold Hideout. This season’s vehicles are not cars but SuperZings Superjets! We got four vehicles in total; a shiny car (Crazy Wheels), two flying vehicles (Sky Force) and a boat (Aqua Force). There’s also a motorbike (Xtreme Rider) and each type of vehicle is available in two colour variations plus special shiny ones. We also got a superblaster; these shoot little discs and as with the previous ones I’ve taken them away because I fear injury to the dog! 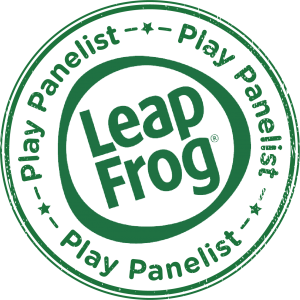 The comic book which comes in the starter pack has character list, as well as a story introducing the characters and setting the scene. It’s a nice addition to the collectibles and our first one is very well thumbed! We were lucky that out of all the packs that we received we only had a few duplicates (see if you can spot some!). We got two rare SuperZings but no ultra rare, but I’m sure that we will find more as we collect the set! Look out for our unboxing video coming soon! 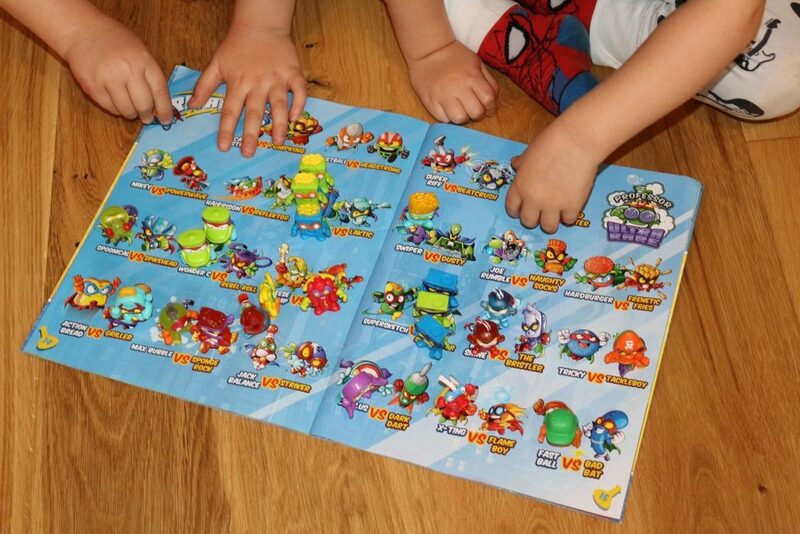 We were sent these products free of charge for the purposes of this SuperZings series 2 review. Words and pictures are my own. 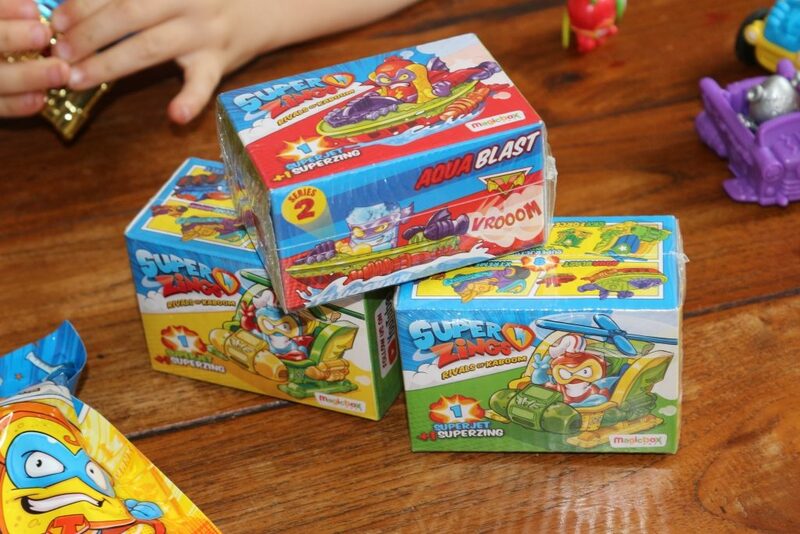 Where can you buy SuperZings Series 2? 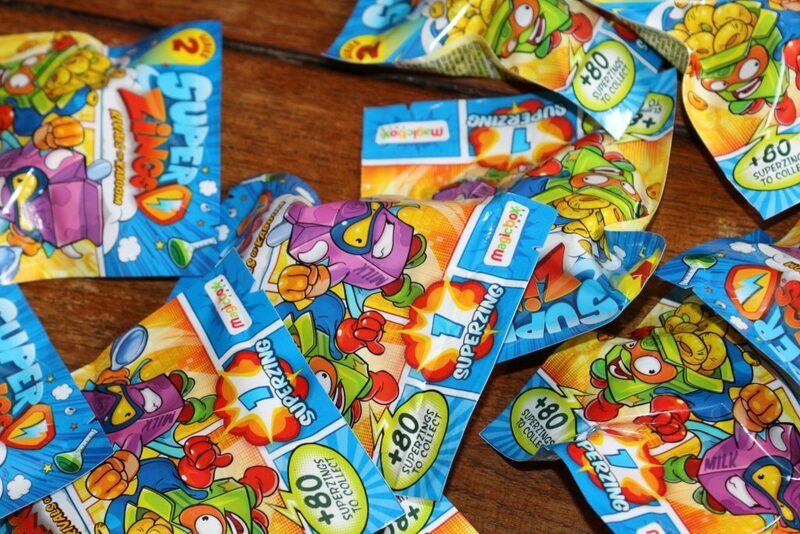 SuperZings Series 2 are available to buy at shops including The Entertainer, Tesco, Asda, Co-op, Spar and many more including Amazon through the affiliate links below. For further information check out the SuperZings website. 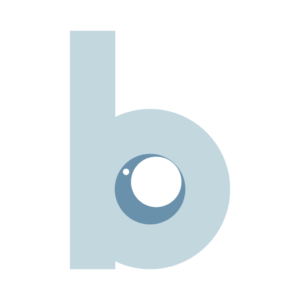 You can follow on social media at @magicboxtoysuk. 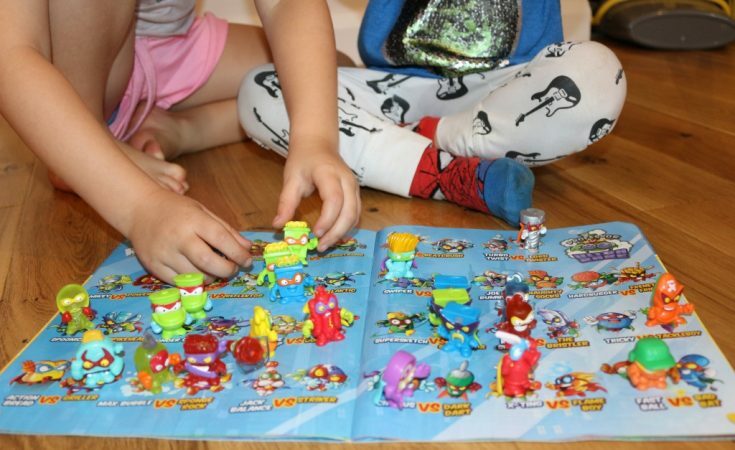 SuperZings review with video Rivals of Kaboom superheroes and villains blind bag collectibles and accessories for children aged 4-8. 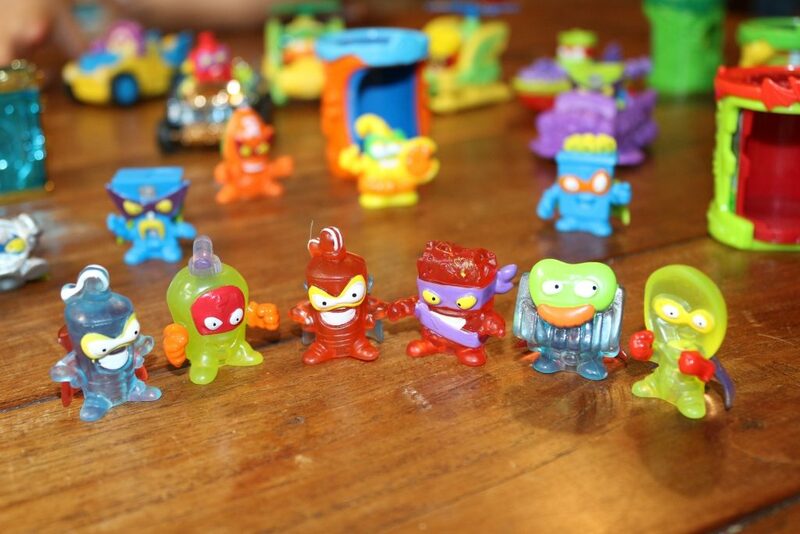 Watch our blind bag unboxing video!